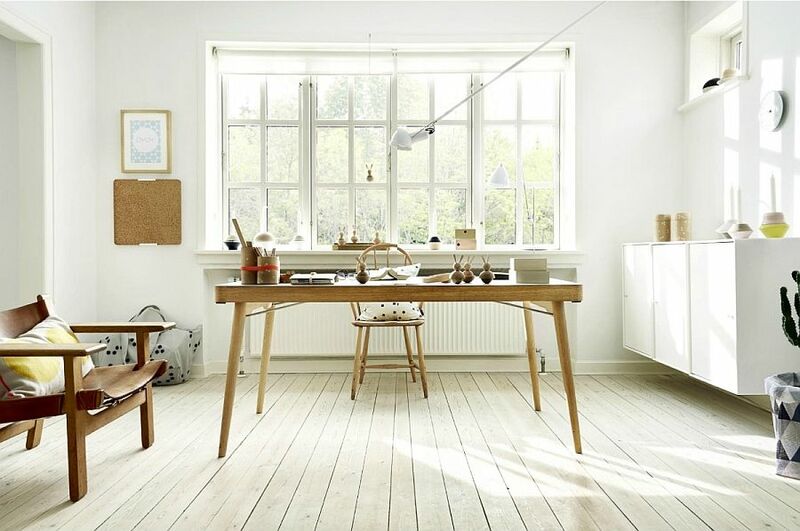 Scandinavian design style is all about minimalism and functionality. Beginning in the middle of the 20th century across Scandinavian countries and now spreading into homes across the world, this particular style combines light, natural materials, and uncomplicated design elements for a flawless and modern finish. Scandinavian style homes are perhaps most noticeable in their window designs, where bigger is better and minimal window treatments allow light to flood into the home. 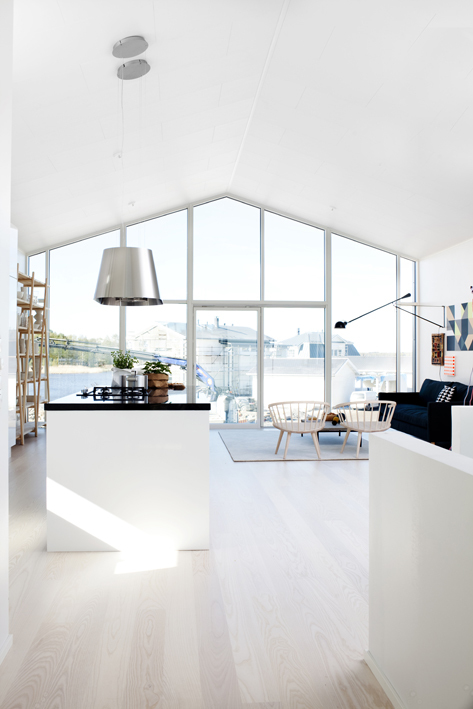 If you’re in need of some inspiration for your home, here are just a few of our favorite Scandinavian-inspired window designs to get you started—and hopefully to let a little more light into your home this winter. 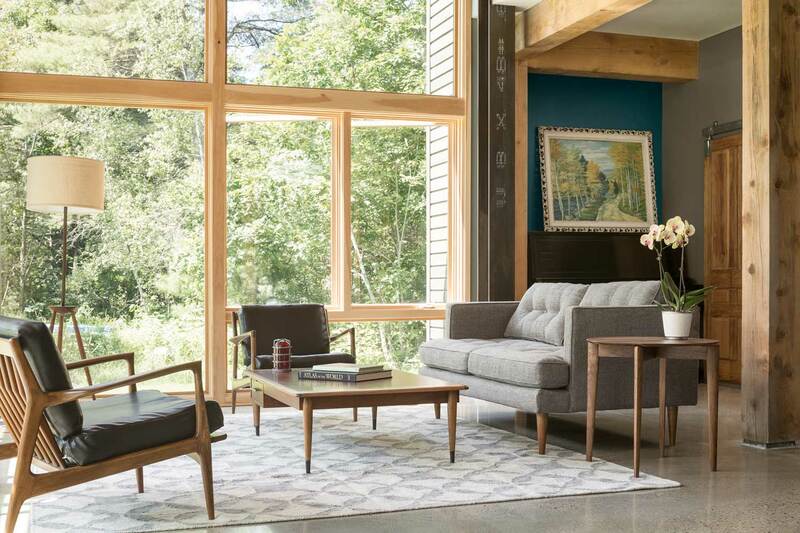 We love this ultra-modern take on the classic Scandinavian window design style, using a combination of unfinished wood and metal to create floor-to-ceiling windows and wraparound doorways. The result is simply stunning and makes the home blend in perfectly with its surroundings. The extra tall windows in this enviable bedroom make you feel as if you are camping in the woods. In true Scandinavian style, the lack of window treatments make it slightly exposed, but we love the way the minimal wooden frames connect the home to nature and bathe the bedroom in light. Who needs walls when you can have windows instead? 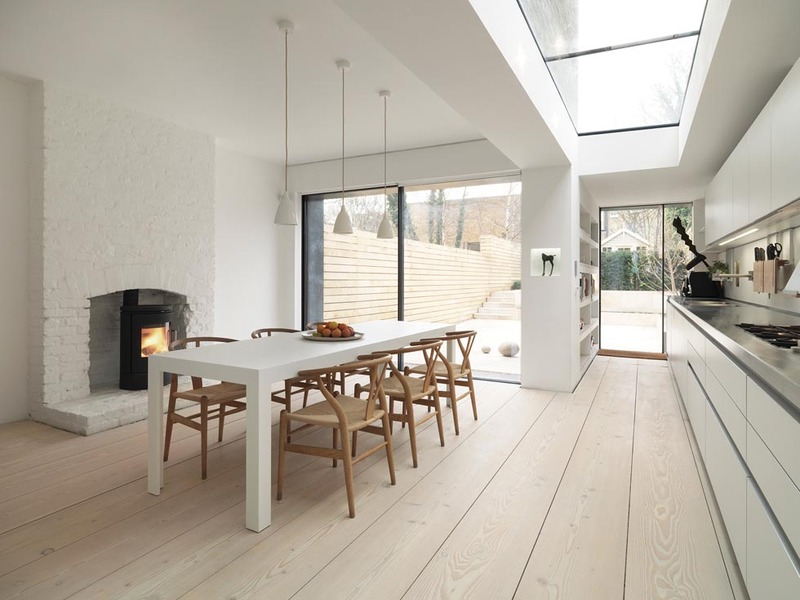 This open-plan living and dining area practically screams Scandinavian style with its bright white floors, walls, and ceilings and modern design. The focal point of this room is most certainly the glass wall that completely opens up the room and allows the light from outside the home reflect across the various white surfaces. The simple design of this glass wall is crisp and clean, showcasing the pattern of timber window frames and the view outside the home. While the ultimate goal of this Scandinavian-inspired wall is to achieve a spectacular view, these windows are as functional and well designed as they are beautiful. Minimalist design style, by its very nature, eliminates unnecessary elements from the home. These oversized windows strip away the excess, leaving this wall with an almost completely unobstructed view of the world outside. The timber frames are stripped as well, with an unfinished look that is mirrored in both the furniture and the interior woodwork of the home. Also, what minimalist doesn’t love right angles? This room is bursting at the seams with them. Something about the styling of this particular space makes it feel more like a traditional American home than a Swedish one, but the oversized windows along the wall of this room have an element of Scandinavian window design that is not easily forgotten. 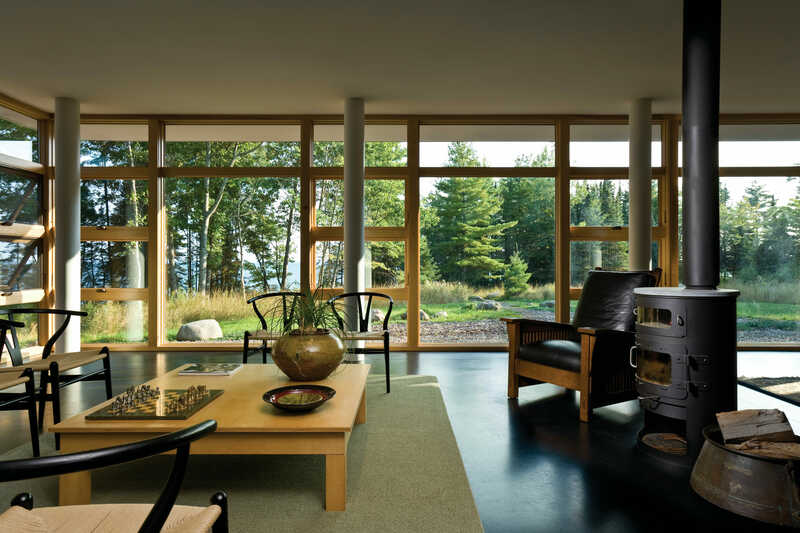 These windows do the job they set out to do and let in as much light and color as possible while keeping the interior safe and warm. If you are a fan of productivity, you will know that nothing puts a downer on workplace efficiency quite like a poorly lit office. The designers of this space took a page or two out of the Scandinavian design handbook by incorporating whitewashed walls and giant windows to bathe this office in natural light. We don’t know about you, but we think we could get more than a little work done in this space. Anyone who thinks that windows are only for walls is, of course, mistaken. In addition to the floor-to-ceiling windows and doors, this kitchen/diner makes use of a glass ceiling in order to maximize light and open up the room. This kind of thinking is particularly useful in Scandinavian countries, where days are very short for large portions of the year and any extra light is welcome. Skylights like these are also great for smaller homes and urban areas where extending for added wall space is not an option. 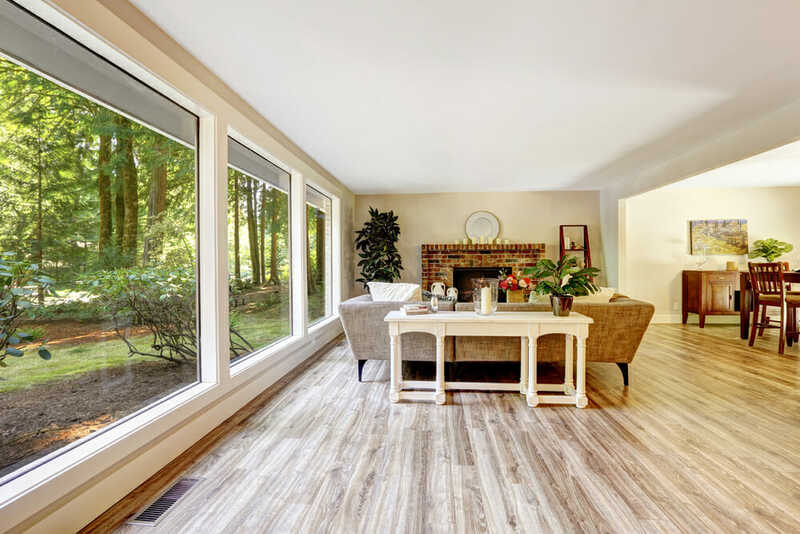 Homeowners who want to incorporate Scandinavian design elements in their home but can’t afford to knock down exterior walls and insert giant windows instead will be happy to know that there are more affordable ways to go North. 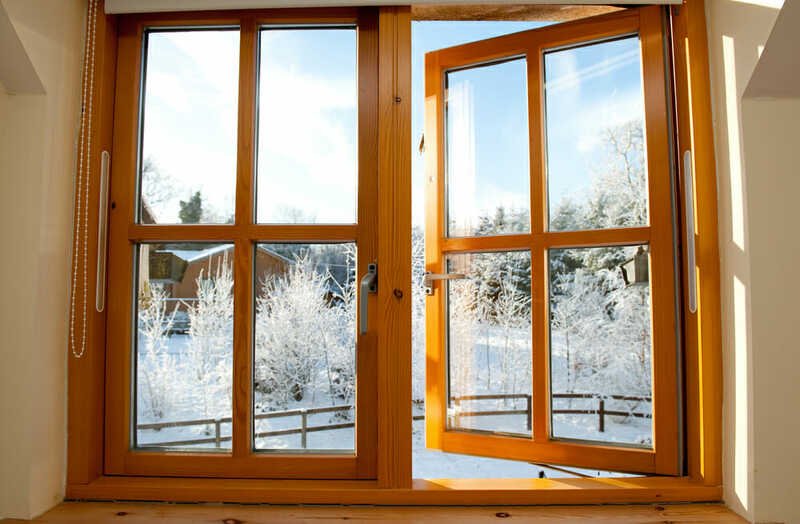 Windows like these, made from environmentally friendly reclaimed or sustainable wood, will fit the bill in a pinch. Just make sure to take it easy on the window treatments and to let in as much light as possible.